Successful customers are the greatest recruiting tool available to small businesses. If your customers can deliver the message that your work is incredible, that’s much more effective than your blog post that says the same thing. Making customers more successful is key to business growth. 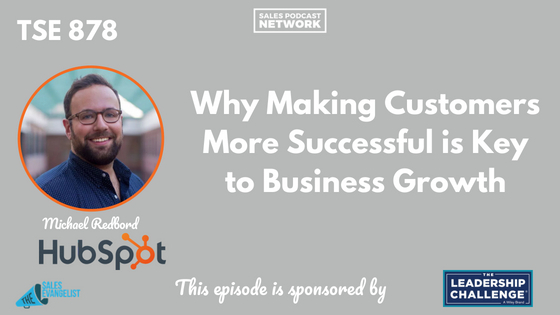 Today on The Sales Evangelist, Michael Redbord of HubSpot shares what he has learned about successful customers and how we can engage them to drive more business. 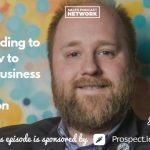 When HubSpot was a small business, the pioneers of the company discovered that when prospects had word-of-mouth energy injected into the conversation by way of referral, the calls went much better. The company leaned into that knowledge and rode the wave. Truth is that people rarely buy things without some version of modern-day word-of-mouth information: Google, Amazon, or some other customer feedback. People also go to Facebook to seek input from people they know, and their friends actually provide a lot of information. By the time customers are ready to buy, they are way down the sales funnel. They are basically already sold on the product; they simply need someone to assist with the transaction. The seller’s job has changed so that his entire job is to amplify information until the customer has enough certainty to buy. The first thing small businesses must do is land a customer. As soon as your company lands its first customer, you’re immediately in the business of customer service. If a customer buys from your business and has a great purchasing experience, but has a not-so-great post-sale experience, they have the power to create a bad reputation for your company. Michael’s favorite statistic is this one: ask businesses whether they provide superior customer service, and 80 percent will say they do. Then ask customers the same question, and 8 percent of customers will say they receive superior customer service. There’s a massive disconnect, and customer expectations are super high. Ten years ago, customers were more patient. They were ok waiting on hold or repeating their issue to multiple customer service reps after being transferred. Twitter was a glimmer in our eyes. Now customers have a megaphone to share their experiences. Businesses aren’t as nimble. They follow a tried-and-true playbook that says each new person you hire should be cheaper than the last one you hired. Quality diminishes, but customers still expect great customer service. In order to conduct post-sale business well, there are three verbs salespeople need to know. 1. Engage. Give customers answers to their questions. 2. Guide. Once you see patterns, become proactive. 3. Grow. Create energy in the market place to drive more business through referrals and advocacy. If you create the very best experience and engineer your post-sale experience well, you’ll earn promoters. Ask yourself hard questions. Do you really provide tremendous customer service? Think critically. 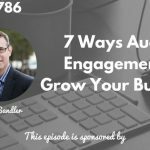 How well do you engage, guide, and grow. Businesses that do those things well have the DNA to be successful long-term. Connect with Michael on Twitter @redbord. He loves to have conversations there, and he’d especially love to have this be the start of the conversation rather than the end.